Gastroschisis in 30-week fetus. 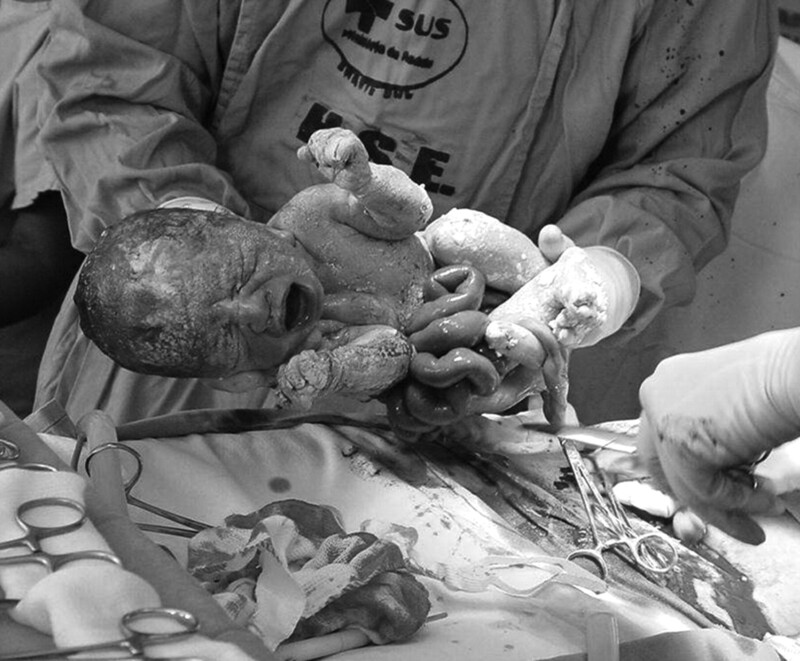 Photograph of cesarean delivery shows bowel protruding through anterior abdominal wall defect. (NaturalNews) Gastroschisis is a birth defect in which the intestines, and sometimes other organs, develop outside the fetal abdomen and poke out through an opening in the abdominal wall. Long considered a rare occurrence, gastroschisis has mysteriously been on the rise over the last three decades. In fact, the incidence of the defect has soared, increasing two to four times in the last 30 years. But why? Researchers think they’ve found the answer. The culprit behind the suffering of babies born with this condition appears to be the agricultural chemical atrazine. That’s the conclusion of a study just presented at the annual meeting of the Society for Maternal-Fetal Medicine (SMFM) held in Chicago. (NaturalNews) According to a new study by scientists at Rhode Island Hospital, millions of Americans could be at risk of serious and even fatal diseases because of chemicals used to fertilizer and to preserve food. Scientists have found a strong link between increasing levels of nitrates and nitrites in our food supply and increasing death rates from Alzheimer’s, diabetes mellitus and Parkinson’s disease. The research, just published in the Journal of Alzheimer’s Disease, investigated trends in death rates due to diseases associated with advancing age. They found convincing parallels between age adjusted rises in mortality from certain illnesses — Alzheimer’s, Parkinson’s, and diabetes — and the steadily increasing human exposure to nitrates, nitrites and nitrosamines through processed and preserved foods as well as fertilizers. Nitrites and nitrates belong to a class of chemicals called nitrosamines that are created by a chemical reaction between nitrites or other proteins. They’ve long been shown to be harmful to both humans and animals. In fact, more than 90 percent of nitrosamines have been shown in tests to be carcinogens. However, they are allowed to be freely added to the US food supply. In fact, if you pick up a processed food package such as luncheon meat or bacon, certain beers and some cheese products, you are likely to find that they contain these chemicals. In addition, exposure to nitrates and nitrites are widely found in fertilizers, pesticides and cosmetics. Exposure also occurs through the manufacturing and processing of rubber and latex products. Nitrosamines are problematic because they become reactive at the cellular level and that means they can alter gene expression and cause DNA damage. The new research suggests that the cellular alterations that occur as a result of nitrosamine exposure create a process much like accelerated aging in the body and that could spur on the development of Alzheimer’s, Parkinson’s and Type 2 diabetes mellitus. 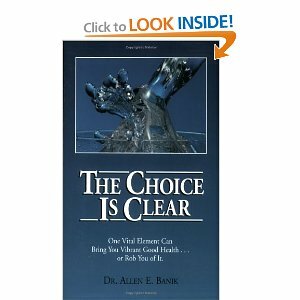 “All of these diseases are associated with increased insulin resistance and DNA damage. Their prevalence rates have all increased radically over the past several decades and show no sign of plateau. Because there has been a relatively short time interval associated with the dramatic shift in disease incidence and prevalence rates, we believe this is due to exposure-related rather than genetic etiologies,” Dr. de la Monte stated.